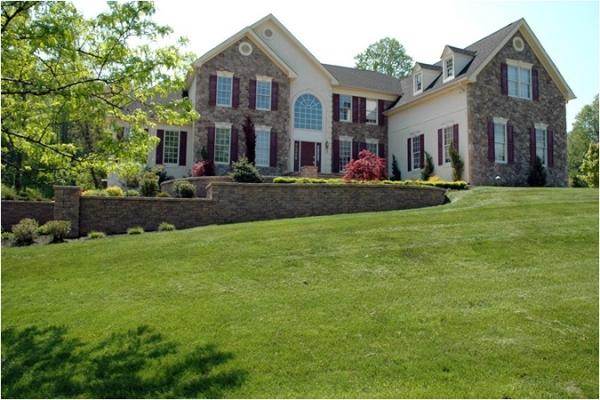 You don’t have to live on an estate to enjoy an estate worthy landscape. Imagine gazing upon an artistic waterscape from your back door; the soothing sounds of the waterfall making every day a Zen experience. In the evening, maybe you’ll do some informal entertaining on a multi level deck surrounded with lush plantings. As the sun goes down, your guests may gather lazily around a Tuscan style firepit that is accented with just the right amount of mood lighting. 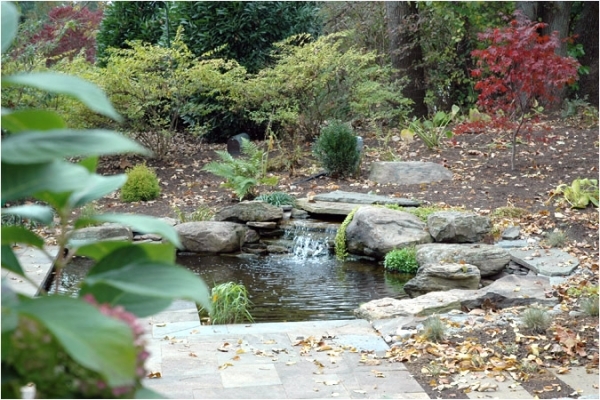 If you can dream it, your landscape designer can create it. No matter how large or small your property, an innovative, artistic landscape with the “wow” factor is within your grasp. Anyone can care for a thriving flower garden; although it does take some time and effort. 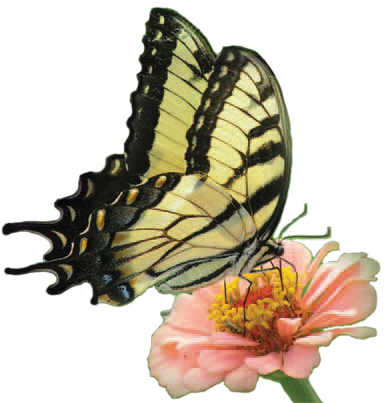 Below are some tips to keep your flower garden happy and healthy. Your flower garden must have an adequate supply of water, sunlight, and fertile soil. Any lack of these basic necessities will affect your garden’s health. In terms of watering and sunlight; the best thing to do is follow the plant tag suggestions. During hot and dry cycles it’s okay to water more frequently; but too much water can cause your flowers to rot. It’s best to water at the base of each plant as overhead watering can encourage the spread of diseases. It’s a good thing to add organic matter and fertilizer to your garden yearly; as your flowers as well as earthworms and microbes feed on added organic matter causing reserves to be low for the following year. 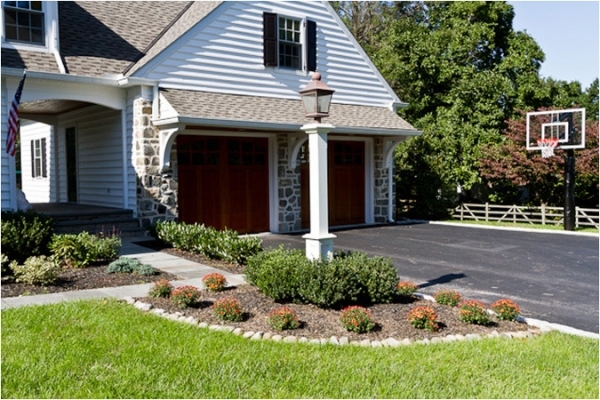 It’s not the size of a property that determines its looks, it’s the quality of the landscaping. With professional landscaping, even the most humble properties can become estate-worthy retreats, and incorporate features like tranquil waterscapes, multi-level decks, entertainment areas, and lush, verdant plantings. These days, if you can dream it, a landscape designer can create it, so get the most out of your property this summer with an innovative new landscape design. 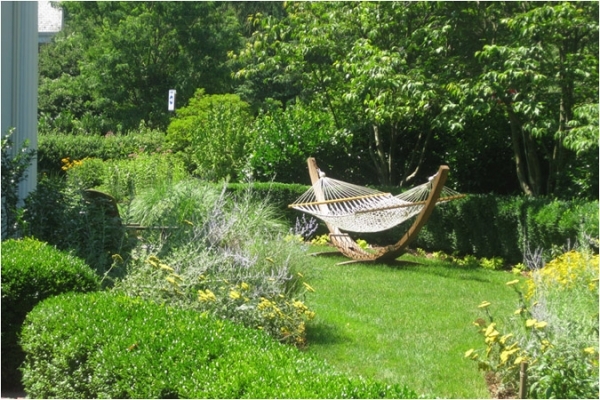 To create a new planting bed, slice the lawn area with a spade and flip it upside down. Next, cover the area with about 3 inches of wood chips. After a few weeks the bed will be ready for planting. To prevent soil from being tracked inside keep plastic shopping bags by your door. So, if you have to go inside you can cover your muddy gardening boots / shoes with them. Also, to prevent soil from getting underneath your fingernails scrape them across a bar of soap before heading to the garden. The soap will provide a seal. Once you are finished in the garden, use a nail brush to remove the soap. Research the internet for local and professional companies/firms. Find and call a company until you have found one that you believe can fulfill all of your design/construction needs. Be observant of your families’, friends’, and neighbors’ properties and if something catches your eye just simply ask them who did their work, this comes across as a compliment too. Visit sites such as Houzz, Home and Gardens, Distinctive Living, Constant Contact, Angies List, outdoor living magazines and other similar forms of media to discover local companies that have previously done similar work that you would like done. Create a Linkedin account, by doing this multiple companies, firms, and individual designers will become more available and allow you to better choose the right fit for your project. Contact different nurseries, quarries, and other construction type businesses such as E.P. 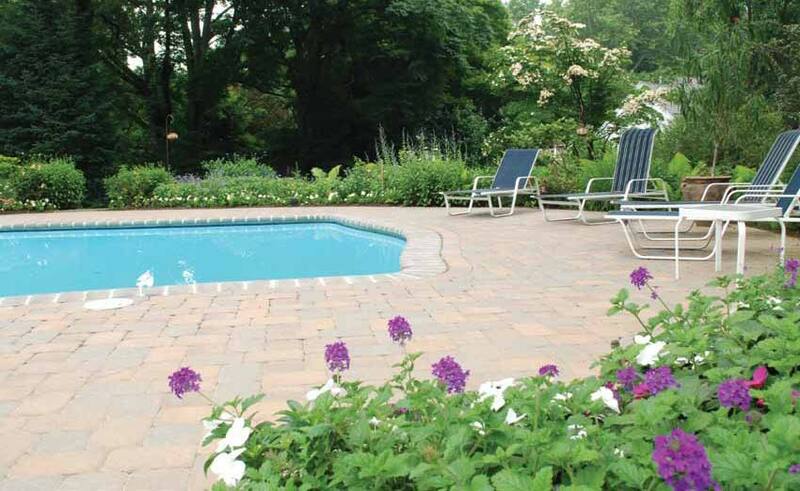 Henry, Unilock, or Techo-bloc to see if they can recommend a landscape designer or company with superior craftsmanship whom works with the client throughout the entire process. Review the portfolios on the websites of different companies and firms until you have found some previous projects that interest you. The steadily increasing demand for exquisite hardscaping and landscaping has challenged professional landscape designers to create the most inspiring outdoor environments in nature ever. Top companies have surpassed expectations to produce fabulous results. No longer are luxury hardscapes and gorgeously manicured landscapes limited to estate properties, and fortunately not all such landscaping carries an estate landscaper’s price tag! 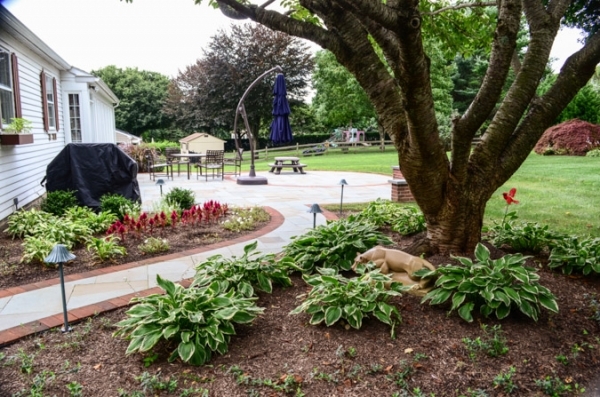 An exceptional landscape project begins with a plan custom-designed by a dependable design/build company that understands how you want to use the space, your design sensibilities, and how to bring it all within your budget. The new extension of the home brings all elements from indoors out. Features include couches and chaises made with fade-resistant and waterproof fabrics, flat screen TV’s, carpets, lamps, chandeliers and fans. 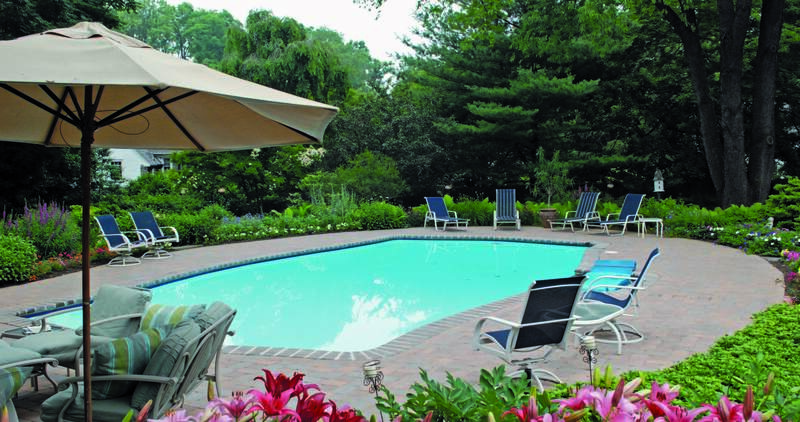 Other popular outdoor structures include pergolas, gazebos, kitchens complete with sinks, cooking surfaces and refrigerators as well as pizza ovens and fireplaces. Just about any piece of indoor furniture has an outdoor counterpart making a residential landscape feel more like an indoor room. 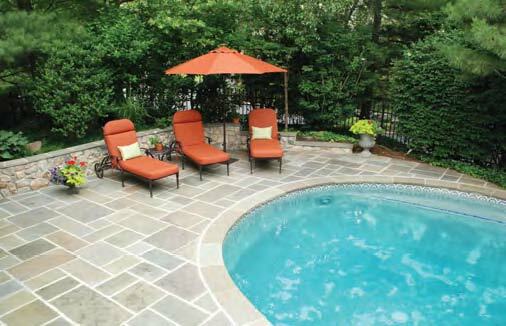 The most important factor for the planning of any backyard landscape is the homeowner’s vision for the space. Other important natural factors include the climate, topography, existing vegetation, views, soils and wind. We always like to work with the existing site conditions to enhance them and build upon them; rather than change a site’s eco-system completely. For instance; if a homeowner has a very undulating backyard we’d suggest creating terraces or different patio levels; as opposed to making a completely flat surface. Another important element to focus upon is the end user. 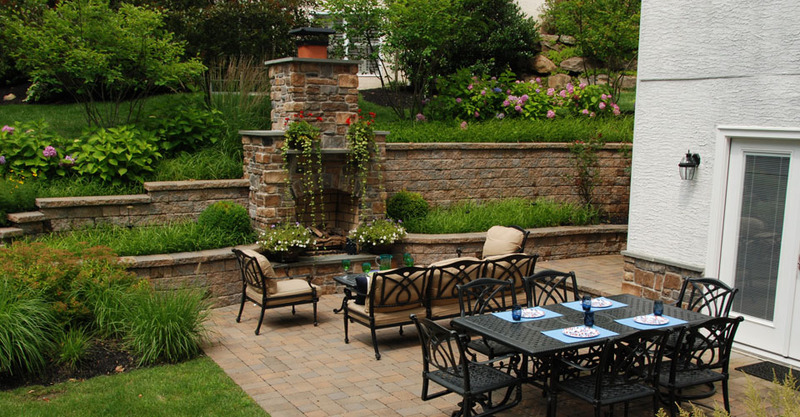 YOUR LANDSCAPE DESIGN is only as exceptional, creative and original as your landscape designer. It’s as simple—and as complex—as that. Emerging as a certified art form, today’s exterior design is defined by a global approach that requires a multi-dimensional skill set and a true understanding of the synergy between the organic and inorganic. 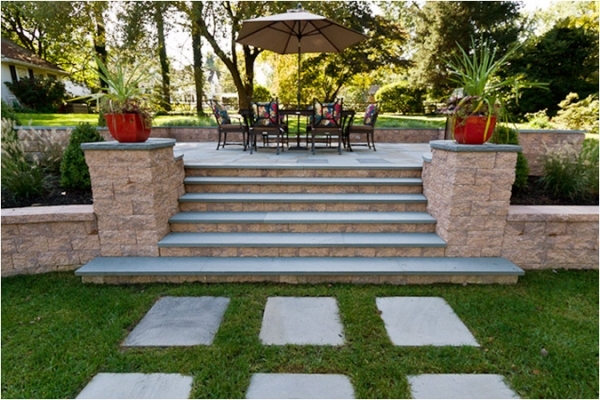 Outstanding hardscaping elements are a necessary component to properly frame your space. A dazzling array of meticulously chosen plantings is essential. How about a fabulous deck with a Tuscan style fully functioning outdoor kitchen or firepit to draw friends and family together? What type of plants can I use with a large deer population? There is a big plant palette that can be utilized when dealing with a deer populated area. It all depends on what you’re looking for. There are forms of perennials that come in different colors and sizes that produce flowers throughout all of the seasons. It really just depends on what colors and styles you desire. The same goes for shrubs and trees, both evergreen and deciduous. As landscape designers it’s our job to design a plan while also being conscious of deer.